Tara and Sasha Bouis are a US couple who live in the Caribbean. 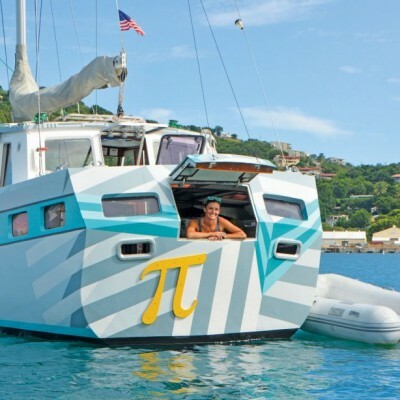 They own a pizza boat called Pizza π and make pizzas for a living. 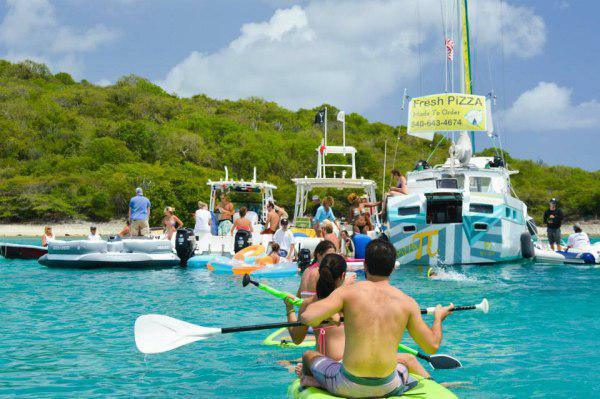 They are anchored in Christmas Cove, Great St. James Island, in the U.S. Virgin Islands, and have sailors and surfers visiting their boat to eat a pizza. Already jealous of their lifestyle? Read the whole story then. Who knows, a similar idea could pop in your head too and change your life from the core. Sasha Bouis was a typical cubicle worker on Manhattan. He was a programmer who thought he was living his dream. Eventually, he realized he was not satisfied with his life so he found a job in a sailing school and moved to the Caribbean. There, he met Tara, a scuba teacher at the time. Together, they worked on charter yachts and enjoyed life in the Caribbean. One thing that was missing from their lives on the boat was – pizza. 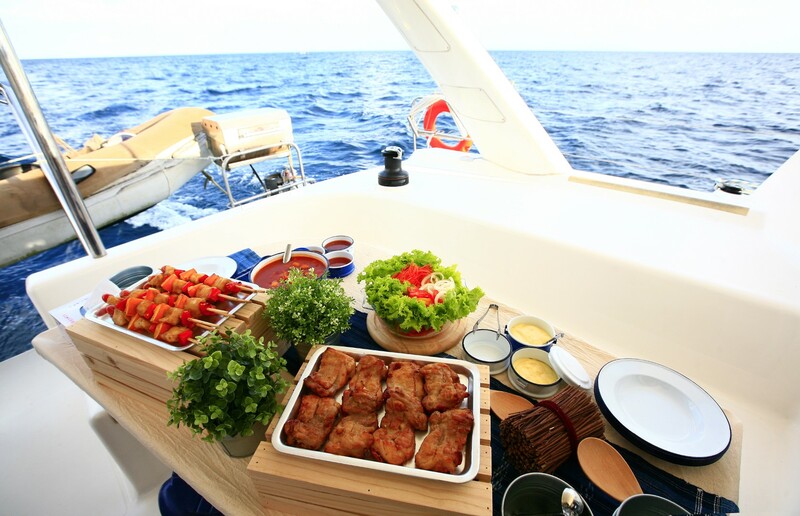 That is how they came up with the idea of creating a pizza boat and turned their lives in a completely new direction. First, the couple had to find a boat. 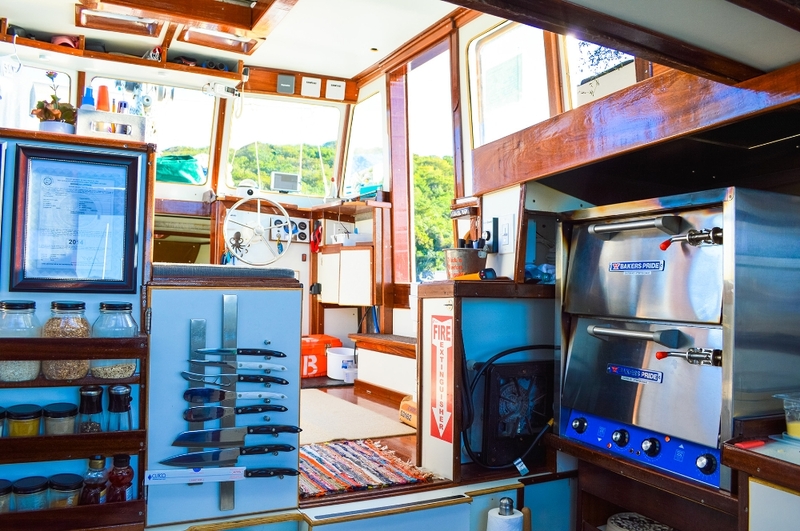 They purchased an old vessel, whose wooden interior had been destroyed by termites, and spent the following two years completely restoring the boat themselves. Thanks to You Tube tutorials, they were able to turn an old wreck into a fully functional pizza boat that they called Pizza π (or Pizza Pi), a pizzeria that finally opened in November 2014. Pizza Pi is now very popular among the visitors of Great St. James Island. Most of them visit the boat by their yachts and kayaks, while some of them have even swam to eat one of these delicious pies. This is not without reason. In order to make the best pizzas possible, Tara and Sasha enrolled in an intense pizza-making course in Manhattan, where they learned many tricks of the trade, which has led them on to prepare delicacies such as Plain Jane, Pizza Mushroom, Dalai Lama and Japaleno Popper, among others. 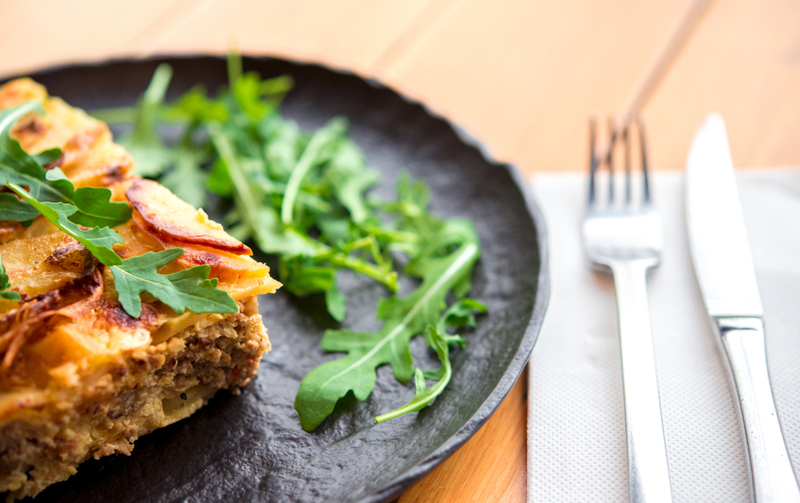 The results are clear – Pizza Pi is the highest rated restaurant in the area on TripAdvisor. The restaurant can be contacted via VHF (channel 16), by e-mail (pizzapivi@gmail.com) and by phone ((340) 643-4674). 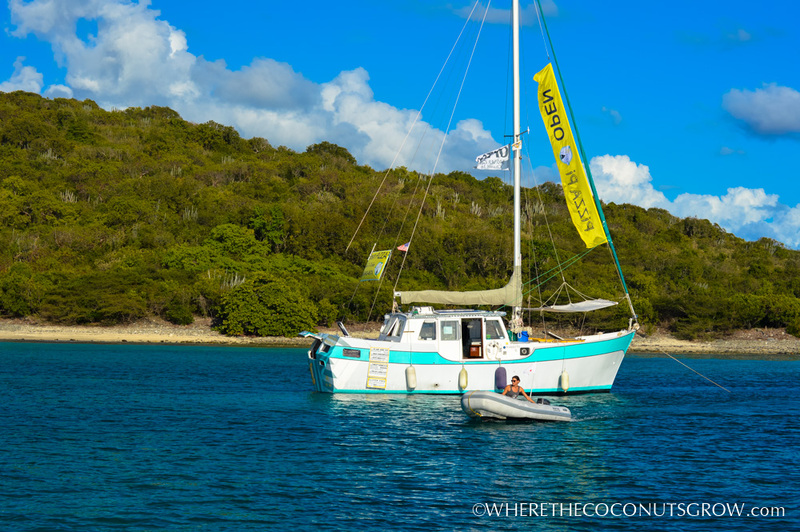 If you ever get an opportunity to sail the U.S. Virgin Islands, make this a must-visit stop on your journey!